Get it girl! 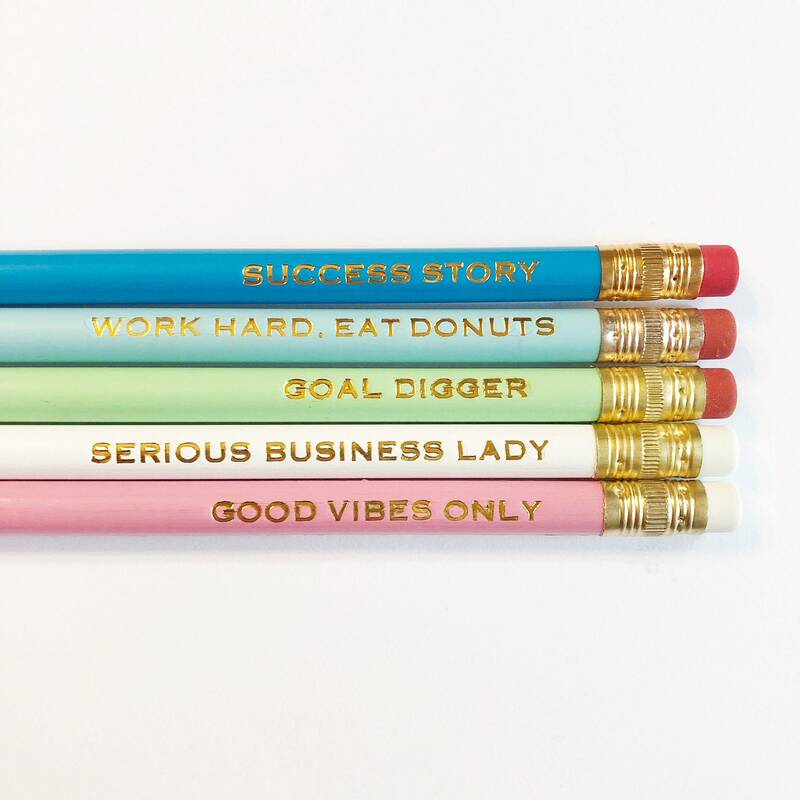 This pencil set as all the "write" stuff from cute colors and motivational sayings that will make you feel like a boss at home or in the office. The pencils come in a clear plastic wrapper.